I don’t get the problem with having a disaster waiting to happen. If some horrible event that will kill hundreds of thousands of people has the patience to wait around doing nothing, isn’t that a good thing? Tsunami: Hey, isn’t this the day you were going to erupt again and hopefully kill millions of people? Mount Vesuvius: Nah, I decided to wait. I’m gettin’ old, you know. Went to the doctor for some lava tests. My iron is really high. 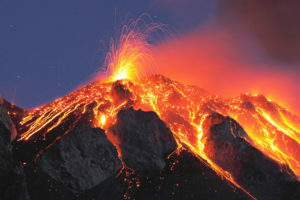 Erupting isn’t as easy as it use to be. Maybe next year. Let’s hope more disasters can learn this kind of patience. That might explain why our December cold snap didn’t hit until January.